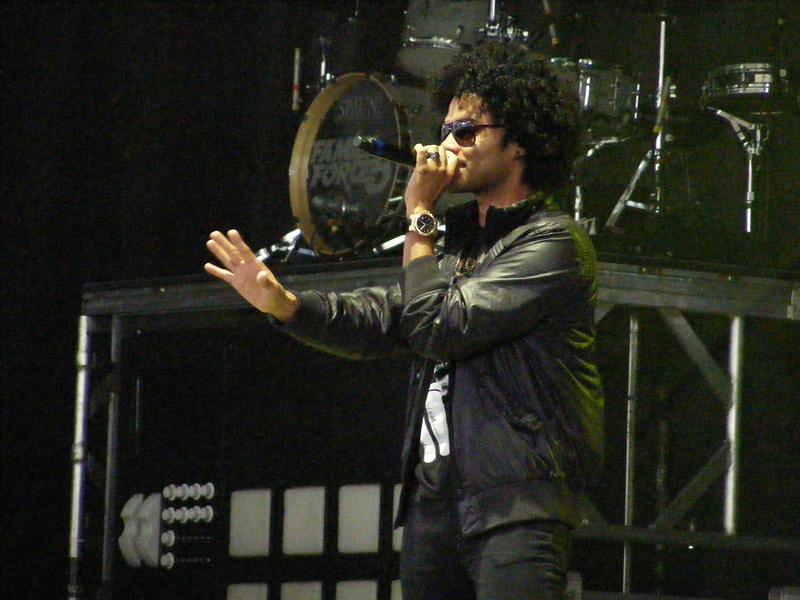 Blanca Reyes, Pablo Villatoro, and Manwell Reyes make up the hip-hop band from LA and Orlando, Group 1 Crew. While I’m not partial to urban music, G1C had brought a bit of mainstream flavour to their latest offering, Outta Space Love. By adjusting the feel of their music, the band has made their form of urban grooves more accessible to general music fans. Overall, the band can range from pop to hip-hop to dance genres. They have been compared to Black Eyed Peas, but with more substance (and no profanity). “Please Don’t Let Me Go” and “IContact”, from the band’s second CD, Ordinary Dreamers, started off G1C’s set. “Let It Roll”, “Live It Up”, “Breakdown”, “Keys to the Kingdom”, and the finale, “Manipulation”. Robotic dance moves made up a large part of the performance. A gifted band with a dynamic live performance.